When it comes to picking your bath, Bathroom Supastore has a vast array of baths to choose from. 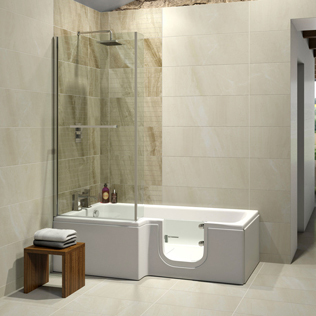 Whether you are looking for a complete bathroom range, or standalone pieces- Bathroom Supastore has it covered. Our range of baths have a comprehensive selection to cater for all lifestyles, tastes, designs and needs. With various sizes also available; your next bath purchase is right here. 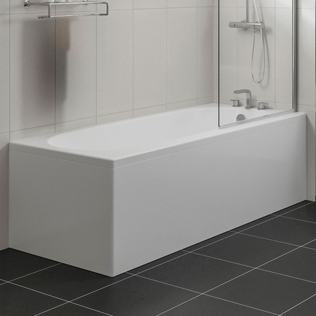 We have a vast section of standard straight baths, in single and double ended options. 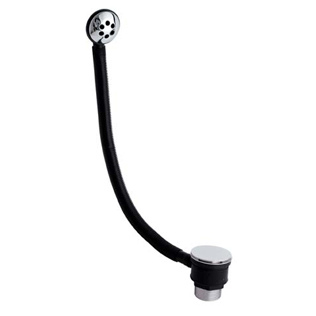 Single ended baths are the norm and most popular style of bath, where the taps are positioned at one end, great if you want in use the bath as a shower too. Double ended tubs, where the taps are fitted central offer two sides for relaxing. 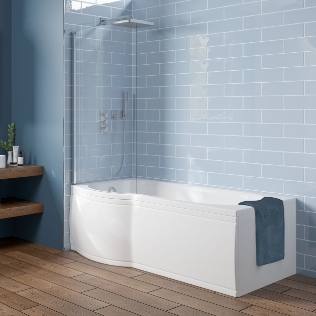 Designed with durability, practicality and functionality in mind - our standard bath ranges are fantastic value for money. Our freestanding bath range offers the highest quality, unique styles and most definitely the WOW factor. 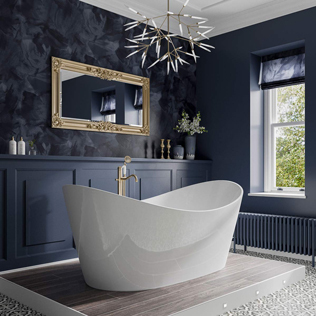 Dependent on your style preference and your pocket- our fantastic and growing freestanding bath range will certainly inspire you when it comes to your next bath purchase. Bathroom Supastore has a variety of shower baths for those space saving needs. These baths are ideal if space is at a premium- yet you still require all the functionality and practicality of a classic bath. With right hand and left hand versions of both L & P shaped baths available- there is a style perfect for your bathroom space. No matter the size required Bathroom Supastore will have a bath to meet your needs. 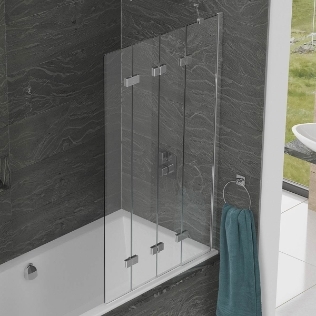 Our bath sizes start at 1200mm in length and go right up to 1900mm. Take a look at the options, we're confident you'll find the bath of your dreams.